The graph shows the time journalists spent with social media for professional purposes worldwide in 2014. 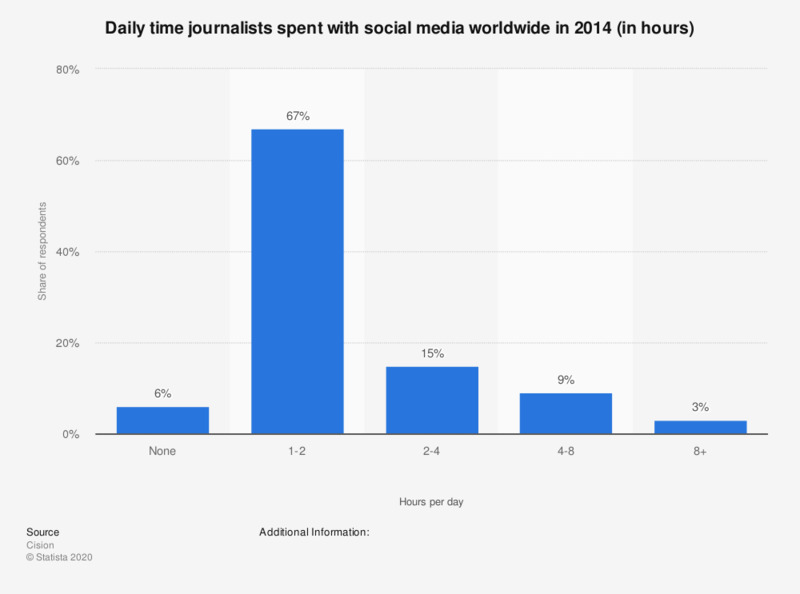 The largest share of journalists with 67 percent only used social media for 1-2 hours a day for work, whilst 6 percent of journalists stated they did not use social media at all. Does social media make news less reliable because journalists do less or no fact checking? During the last three years, which of the following tasks have been added to your job profile? Have you used social media in the last week as a source of news?